Beat the summer and school holiday crowds by getting your next holiday booked in May! We’ve picked some of the best destinations for scorching sunshine and action-packed adventures. 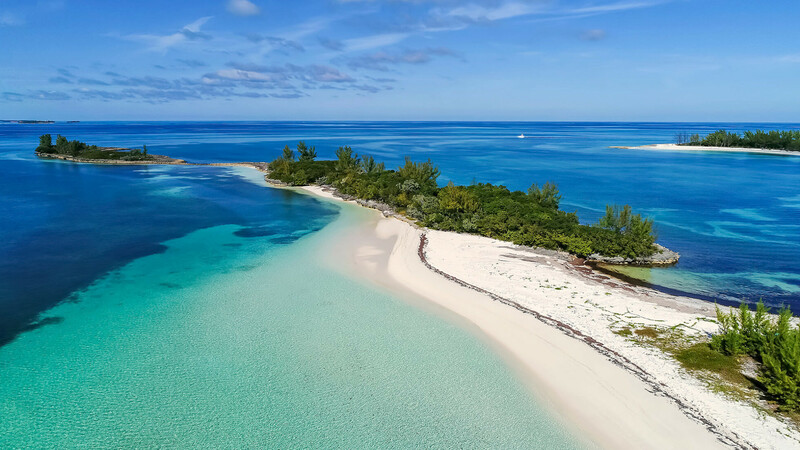 May is just outside of the peak season in the Bahamas, so you can beat the huge crowds by visiting during this month, but you won’t be short of plenty of sunshine. From pink sandy beaches to coral reefs and ocean caves, the Bahamas really is a little slice of heaven on Earth. If you want sun, sea and sand, then the Caribbean has 700 + islands in the Bahamas alone, so you’re certainly spoilt for choice! Paradise Beach is one of the most popular white sandy beaches, where you can relax and top up your tan in one of many all-inclusive luxury resorts on the island. From hotel spas to fine dining, golf days to casino nights, you’ll find everything you could possibly want, all in one place. Kids will also be kept happy with a range of entertainment offered by the daytime kids’ clubs, including the popular Atlantis Resort Water Park, while activity days such as paddle boarding, snorkelling and kayaking is fun for the whole family. For those interested in marine life, Bimini beach’s crystal-clear waters are perfect for diving, and Dolphin Cay, a centre dedicated to the conservation and rehabilitation of sea life, allows you to get up close and personal with dolphins and sea lions and even become a trainer for the day! And for something a little out of the ordinary, Pig Beach allows you to take a dip with the locals – those locals being a colony of pigs that have made their home on the island. They’re incredibly friendly and too cute to miss! South Africa is fast becoming a popular destination choice for many travellers due to its luscious vineyards, gorgeous beaches and safari adventures. Traditional African safaris are available at Kruger National Park, where you’ll get the opportunity to spot some of the most prestigious wild animals including elephants, lions, leopards, rhino, buffalo and more. This is an opportunity to observe some of our planet’s most endangered species either by horseback, on foot, or in a traditional safari jeep. The South African coast is a surfer’s haven. Muizenberg in Cape Town is home to friendly locals and a growing surfer community, where you can try a range of activities including kitesurfing and shark cage diving. However, those who’d prefer to keep their feet firmly on the ground can explore the many hiking trails or enjoy a spot of golf at one of the top country clubs. Aside from the action-packed adventures to be had, there’s nothing better than relaxing with a large glass of South Africa’s finest wine. The Western Cape offers a range of delicious local wines, and May is the perfect time to visit and try them all during their wine harvest season. Private and group tours are available across the winelands in the Western Cape, with the opportunity to learn all about the vineyards and how the wine is made, along with tasting sessions and lunch included. The perfect way to relax on holiday. Australia is entering autumn/winter at this point in the year, yet it remains warm and is the perfect time for checking out some of the lesser known areas. Ningaloo Reef doesn’t get anywhere near as much hype as the Great Barrier Reef, but it is the best place in Australia to spot whale sharks. During May, Australia sees an influx of these beautiful creatures, and you’ll be able to spend the day snorkelling amongst them with the help of a spotter plane to point you in the right direction. Ningaloo Reef is also home to manta rays, sting ray and reef sharks, to name just a few. All of these species along with beautiful corals are also able to be spotted when you go scuba diving in the bay. Sydney Harbour is of course one of the most popular Australian cities to visit all year round, and May is whale watching season, so you can catch a glimpse of some hump back whales in the harbour as they set off in search of warmer waters. As May is one of the cooler seasons down under, we recommend taking the time to explore some of the great natural wonders in Western Australia. From beaches to lakes and national parks, there’s plenty to discover and temperatures are far better for hiking enthusiasts. Check out the hidden gems to be found in Karijini National Park. You can hike to the Knox Gorge lookout for breathtaking views and explore the depths of the long, winding red and purple canyons. Along the way you’ll find drop pools and natural waterfalls where you can capture those Insta-worthy shots.